Did the plot keep me excited and reading without skipping pages? If it is horror, did it make me turn on the lights? If the answers are yes to all of these questions, I consider the book a 5 star novel, and The Jersey Devil is definitely one of those books. Old man Willet had a secret; a secret he and his family hid, and a secret they didn’t fully understand. After years of lying dormant, The Jersey Devil decided to make a reappearance. Sightings became more frequent and turning violent where they hadn’t before. 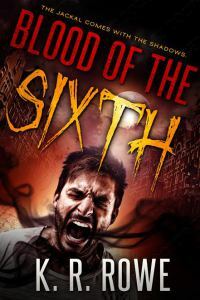 Somehow tied to this creature, the Willet family, along with cryptozoologist Norm Cranston, set out to find the Devil with the intent to destroy him, and hopefully sever all ties with the monster. Read to find out if the Willets succeed, or if the Jersey Devil lives to terrorize another day. I’ve been looking for a great horror book and definitely found it in this one. The Jersey Devil kept me awake every night reading in the dark, sometimes forcing me to get up and roam through the house turning on the lights. It did what I’d hoped. It kept me up, made me paranoid, and afraid to turn out the lights. Great work Mr. Shea!